My husband thinks it is funny that my sister and I have a tendency to find a movie we love and watch it over and over until everyone else hates it. I stumbled upon The Greatest Showman on Amazon Prime and I instantly fell in love with it. I’ve always been a fan of musicals, but this one was next level for me. While trying to convince my sister to watch it with me recently, she asked me what I loved about it so much and I told her the songs, the story line and the message in the lyrics -- so basically everything. I find myself listening to the song “This is Me” on repeat, even when I’m not watching the movie ... for so many reasons. I’ve talked in the past about my height causing me to be the brunt of rude comments and stares throughout my life. After all, a 6-foot-tall female isn’t something you see every day. I’m sure you’re thinking it’s not a big deal, but when 80 percent of people who meet you for the first time look at you like you’re this otherworldly creature, it’s something you tend to get a little self-conscious about. I still find myself being overly self-conscious about my height at 30 years old, but as I look at my daughter following in my foot steps, I want nothing more than to shield her from those mean words and embracing the fact she will literally stand out in a crowd. 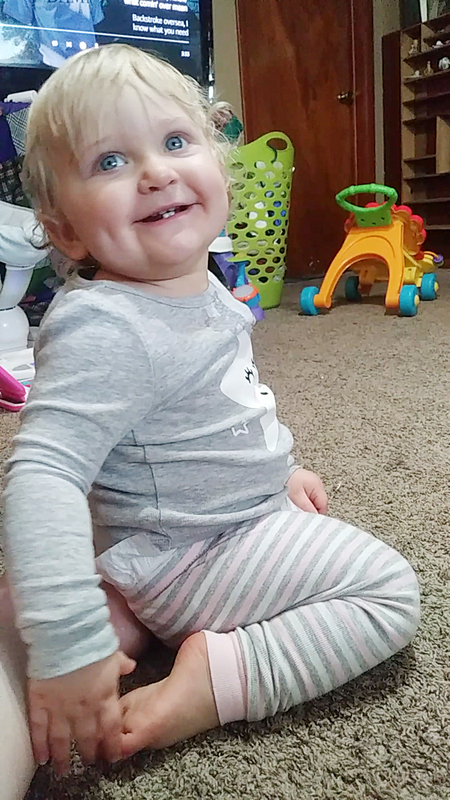 At age 1, her doctor said her size is “off the charts” for her age, measuring in at the size of a nearly-two-year-old. She already gets the “oh she’s ONLY one?” look. That’s never going to go away, so my goal as a parent is to teach her to embrace what makes her stand out. So, as she continues to grow and tower over the kids in her age group, I will sing these words to her because I know she’ll be a warrior. Sabrina is the editor of the Greene County Daily World. She can be reached at sabrinagcdw@gmail.com.